Ever since William Caxton set his first printing presses rolling in the 15th Century, the demand for truly great writers has always exceeded supply. Nevertheless there are a select few who richly deserve this much coveted title, although no two people will ever agree on who the accolade should be awarded to because we all have our own particular favorites. 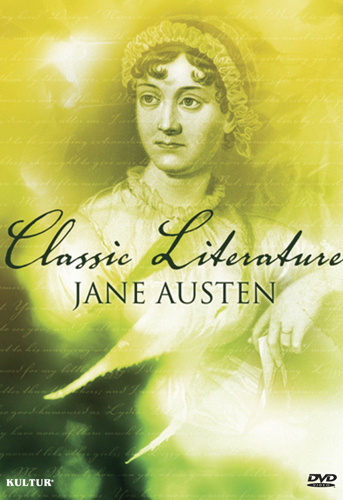 But one name that appears with great regularity is Jane Austen, the author of such classics as Pride and Prejudice and Sense and Sensibility. 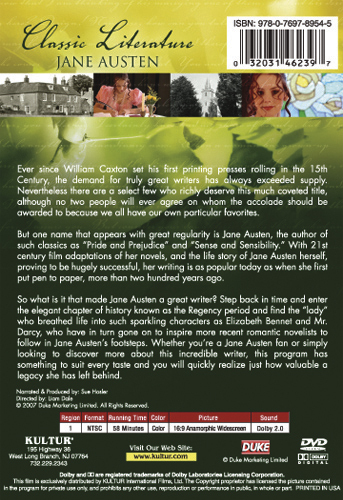 With 21st Century film adaptations of her novels, and the life story of Jane Austen herself, proving to be successful, her writing is as popular today as when she first put pen to paper, more than two hundred years ago. So, what is it that makes Jane Austen a great writer? Step back in time and enter the elegant period of history known as the Regency and find the "Lady" who breathed life into such sparkling characters as Elizabeth Bennet and Mr. Darcy, who have in turn gone on to inspire more recent romantic novelists to follow in Jane Austen's footsteps.